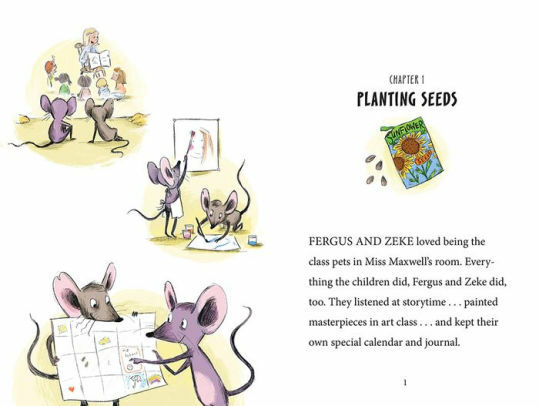 Story: In the first book in this series, Fergus and Zeke, Fergus, a classroom pet, tags along on a field trip to the Museum of Natural History where he meets Zeke, a museum mouse and they get into a bit of trouble. Now, both mice are the class pets in Miss Maxwell's room where everyone is preparing for the science fair. 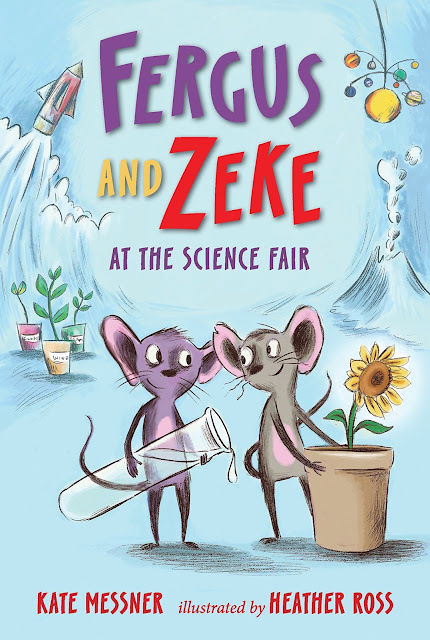 Fergus and Zeke are excited to prepare and experiment of their own. They think about planting seeds, like Will or maybe experimenting with erosion like Neela, but nothing seems to work. 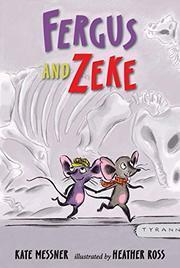 Lucy wants to experiment with animals and decides to train Fergus and Zeke to run through her homemade maze. The mice want to DO and experiment, not BE one. Hilariously, they find out a way to train Lucy instead of being trained by her! Illustration: Ross's colorful illustrations are filled with energy and interesting kids. Perspective shifts from that of Zeke and Fergus in their cage, to a more universal view, pairing with perspective changes in the story. Why Read? Why Buy? : The world needs more books at this reading level! 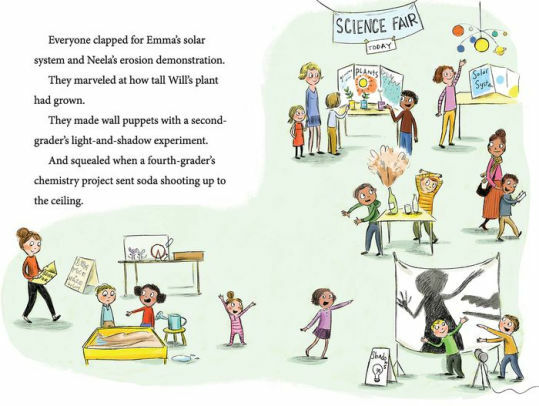 And Candlewick Press excels at delivering quality stories and illustrations in this arena. Fergus and Zeke are ingenious, curious and companionable, all the perfect qualities for beginning reader buddies! Book 1 in this series!